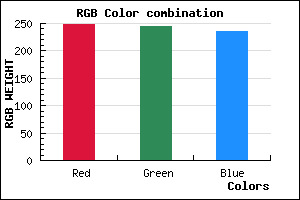 #F8F5EC Hex Color conversions, schemes, palette, combination, mixer to rgb. 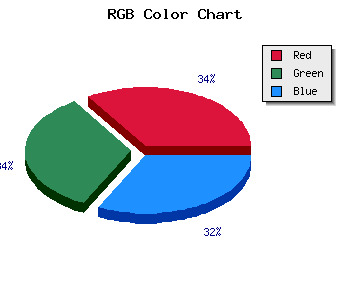 The hexadecimal color #F8F5EC has red green and blue "RGB color" in this proportion of 97.25% red, 96.08% green and 92.55% blue, and the corresponding RGB percentage values are 248, 245, 236. The #F8F5EC html color has 0% cyan, 0.12% magenta, 0.48% yellow and 7% black in CMYK color space and the corresponding CMYK values are 0, 0.012, 0.048, 0.027. This web safe color #F8F5EC can display on browsers. Other information such as degree, lightness, saturation, monochrome, analogue are shown below.